License Key for a single domain name only and will not work with any other subdomains. +Plus all of our current + future modules and features, as shown on all our demo sites, are already included! NOTE: Setup/Delivery of our cloned Demo Site completed with your RETS Data takes 2-4 biz-days . NOTE: There may be a 30 – 60 day wait list to begin custom site build out projects. This package is a great value for the $. We work directly with you or your team to deliver a truly unique website complete with agent roster integrations and many other custom features – Give us a call! License is locked to single domain. Responsive | Mobile Ready templates. Private ‘Members Only’ Forum Access. — Build/Setup of our Quick Search. — Build/Setup of our Advanced Search. — Adjustment/Tweaks of our templates to fit within your WordPress Theme. 60 days of FREE HOSTING on our servers! All projects are built and/or set up on our servers first. After build-out is completed, you are free to move your project to any server of your choice or choose one of from one of our hosting options. Site migration is provided “free of charge” only after the website is first setup and completed on one of our servers. View RETS PRO Plugin server requirements HERE. A 100% working WordPress website complete with automatically updated MLS listings and everything ready for you to start adding in your content. No monthly fees paid to us! FREE additional (2) hrs of “LIVE” Tutorial Support Included via Skype! The product you are about to purchase is currently used by hundreds of other web developers around the world and is the exact same code we use ourselves. Responsive | Mobile Ready template. — Semi-Custom WordPress Website [we work with you to create your “look – brand”]. — Custom Home Page Video or Slideshow Integration via your provided images/videos. Customized field mapping, optimized listing URL’s, shortcode listings builder & more. You OWN all of the code! IMPORTANT: Most projects with minimal customizations can be completed within 30 days if the client provides all necessary credentials and information up front. If your project requires custom programming, etc, plan for a longer completion timeframe. Please understand that Custom programming is not always “black and white” and sometimes requires trial and error to bring your Custom Vision to reality. Contact us for more information and live examples of default setups and additional services we can offer you. Perfect for Brokers/Agencies. Customized field mapping, optimized listing URL’s, shortcode listings builder, agent roster & much more. You OWN all of the code! License+Plus Key for Single Domain but also works with all subdomains, including WordPress-MU installs. +Plus all of our current + future modules and features, as shown on all our demo sites, are already included! Great deal for typical Brokerage type sites or doing SEO with subdomains. We work directly with you or your team to deliver a truly unique website complete with agent roster integrations and many other custom features – Give us a call! License+Plus is also locked to single domain name but it also works with all subdomains of the main domain, including WordPress-MU installs. Developers License Key locked to a single IP allows for unlimited sites and is ideal for small web companies. +Plus all of our current + future modules and features, as shown on all our demo sites, are already included! Great deal for offering unlimited sites on any number of domains or subdomains We work directly with you or your team to deliver a truly unique website complete with agent roster integrations and many other custom features – Give us a call! NO more LEASING your wordpress plugins. Pay ONCE and OWN our product! Searchable listings from ANY AREA you want! The ONLY Real Estate Plugin with Multi-RETS Support. Add RETS listings to your website in just MINUTES. Hotlink all images for FASTER PAGE LOADING TIMES. Add RETS credentials and dynamically map MLS listing in MINUTES. What all is included with this purchase? (1) License Key + Plus All current/future addons modules and features already included! Complete “setup and installation” of our demo site on our server using your RETS data, including cron setup etc. Free 60 days of Cpanel Hosting is automatically setup upon your purchase – afterwards you can continue to host with us starting as low as $20 per month -OR- choose to move your site to your own hosting provider. You can Host the website(s) on your own Hosting Provider and you are NOT required to host with us! Free “How-to Support” via Support Ticket, Forums, Phone, Email, Skype and our YouTube channel. Free 20-gig “Cpanel Reseller Hosting” account allows unlimited everything except your max space = 20 gig. Hosting comes with (1) cloned auto installer already set and ready to go so setting up new sites in less than 2 min! What is NOT included with this purchase? We do NOT move websites off of our servers to your 3rd party hosting for “Free” but we do provide a free how-to-video. We do NOT troubleshoot your 3rd party hosting issues for free, but we can certainly assist you if needed. Our rate is $50.00 per hour. Your RETS credentials from your provider and/or local real estate board. Once these are in place, you’ll have the option to move this site to your own host or continue to host with us! Read our “How This Works” page for more details. 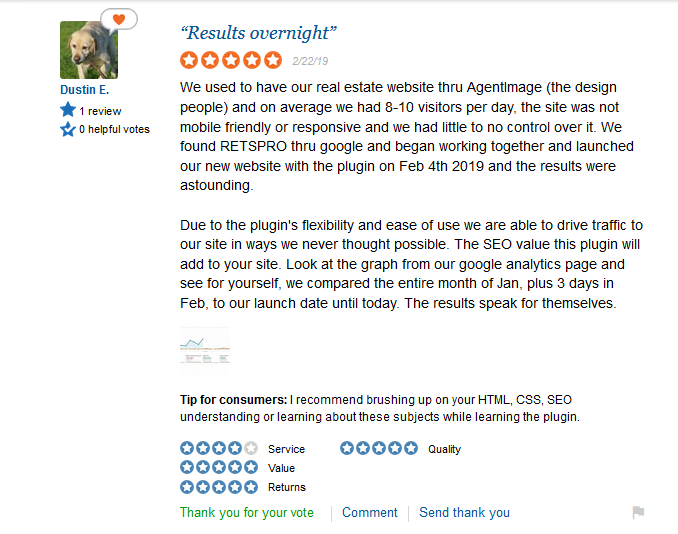 In general what you’ll need to do is contact your local Board of Realtors and inquire about their setup/fee(s) for getting your own RETS credentials so that you can DIY your own Real Estate Website(s) using our RETS Connector plugin. Once they get you setup and approved, you’re ready to then make your purchase with us. Note* If the RETS provider is one that we have already done in the past and have an archive setup of then the setup time is typically within 1-min but up to 48 hours from the time you purchase. If we have not yet mapped your market, it can take 1-day up to 1+week(s) to complete the RETS data mapping depending on our workload. I already have my RETS credentials and I’m ready to buy so how do I get started? If you’re “All About SEO” then you will certainly want to know this! Ability to add http://schema.org Micro data tags to any fields/content anywhere you want them! Dynamic embedded Canonical Listing Details Page url that automatically follows your dynamic SEO url settings! No conflicts with popular All in one SEO – or – Yoast SEO plugins. Custom Site Map module for creating targeted listings submissions. Custom RSS feed for shortcode templates that Embed featured listings. So if you choose to go with any other solution out there then your SEO will be handicapped compared to what we can do! Our background is in Real Estate SEO and we take it very seriously! (1) RETS Setup – Not needed unless adding Multiple RETS. This is for adding Additional RETS Feeds as needed for doing Multi-RETS and is Per-RETS-Setup. In order to better serve our growing and diverse clientele, we’ve done away with our “Package Pricing.” Realizing that it is impossible to package a “one-size-fits-all” product, we will instead provide quotes for any customizations and/or custom build-outs based on your specific requests/requirements. Call us with any questions you might have! Call us to discuss your customization needs! ** We do NOT provide you with RETS Login Credentials, these must be obtained on your own or from your client. PLEASE NOTE: It is always possible that things may change by RETS, ISP, HOST, providers etc. IF this ever happens, a fix will be made ASAP! Our SEO services available on a limited basis. Need Custom Graphics, Logos, or Print Design? Need Social Media Content & Marketing? 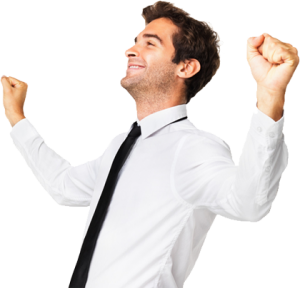 Say goodbye to monthly website fees! You’re now ready to get the best DIY Real Estate solution setup. then hit the BUY NOW! What and How Do Site License Keys Work? Once you make the purchase, you will then need to install the plugin and add the license key to complete the activation and setup. Single Site Packages provide you with (1) site license keys. We will set up your site on our server and upon completion of RETS mapping/integration, it can be transferred to your choice of server. Q- What happens if you want to change sites that are keyed? A- No Problem! If at anytime you decide to change the domain that the key is bound to, all you will need to do is login to our client area and reset the key to bind/set on next site installed. A- No Problem! You can upgrade to a Multi-License at any time. We will discount your Single License purchase price from the Multi-License price. Please note: This will not include the cost of individual modules or additional licenses that were purchased separately. If you have purchased a Single Site License or a Multi-Site License, no additional costs are required by or to us. You will of course have hosting fees and you may be required to pay IDX access fees to your IDX provider. Your initial purchase provide access to our Download Area for 1 year. You can always grab another 12-months-access to our downloads for $80.00. Our Download Area will always include the latest version of WPR Plugin as well as various other commercial themes and plugins. You always have free access to our forums and client area(s). If you have purchased a Managed Solutions, you will be paying a low monthly fee to us as well as any IDX access fees required by your Board. Yes, SUPPORT is most definitely included! Your purchase comes with a Live Screen Share Tutorials via Skype – (1 hr) for Single-Site Licenses or (2 hrs) for Multi-Site Licenses and a guarantee that we will troubleshoot your initial setup for FREE. Additionally, we give you access to our Private Forums, Informational and Tutorial Videos, and Documentation plus Additional Support depending on the Package you purchased. It is our intent to be sure every client can get their system up and running. We strive to work with you until all of your questions have been answered and your system is up and running correctly. NOTE: FREE support covers your initial setup only and does not include additional projects, future server upgrades, moves, etc. We are always happy to help you with these project and offer paid for support whenever it is needed HERE. NOTE: We strive to resolve all client initial server/side issues as a FREE support service to be included with any purchase. If we determine that this is not possible with your current server configuration, then we require the host providers contact information in order to correct the issue with them directly. You are obliged to use a server that meets the requirements for RETS data output. If for any reason we are not able to get things resolved with them then we would offer a refund at such time. We always offer standard 12/24 trouble ticket support for confidential issues only. After your initial setup is up and running and you desire to learn how to do more advanced projects then the FORUMS would be the place for additional FREE and general support. If you’re having problems getting the product to work after something was changed by either your host or RETS provider, we invite you to use our VIP Forums Section for assistance. All posts to the forums will be answered by either a knowledgeable developer/programmer or one of our staff. Support can be accessed via normal support tickets, email, phone – (800) 540-9666, however we prefer to use Skype. Additional support can always be paid for in within our cart area – HERE. NOTE: We strive to resolve all client initial server/side issues as a FREE support service to be included with any purchase. You are obliged to use a server that meets the requirements for RETS data output. If we determine that this is not possible with your current server configuration, then we require the host providers contact information in order to correct the issue with them directly. If for any reason we are not able to get things resolved with them then we would offer a refund at such time. This version is branded only in the admin area and in the html markup code but NOT anywhere on the front of the site so you can remain white labeled on all public facing webpages.